Following her attendance at the pre-shows, Serayah was on the white carpet this evening(June 24th) at the 2018 BET Awards at the Microsoft Theater in LA. 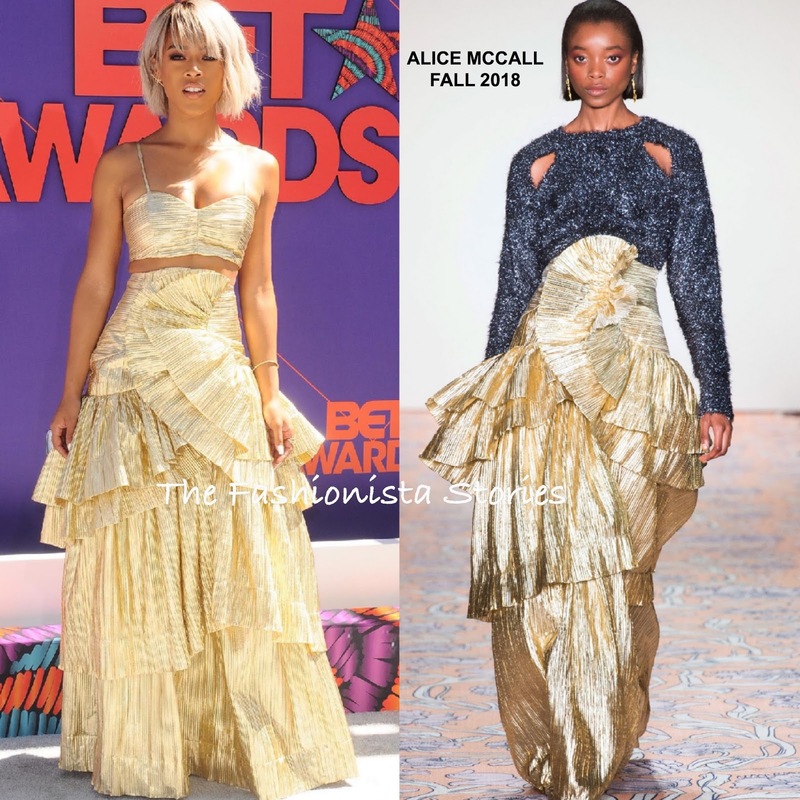 Showing a little midriff, she wore a ALICE MCCALL FALL 2018 gold lame pleated crop top with the matching gold lame ruffle pleated floor gazing, high-waist skirt. Debuting a new blonde hair color in a short wavy cut, she finished up her look with a smokey eye which was offset with a glossy lip. She finished up with ESTABLISHED earrings and EFFY, SARA WEINSTOCK & GRAZIELA GEMS rings and GIUSEPPE ZANOTTI sandals. Are you feeling Serayah's golden look?